A grand home with grand views. 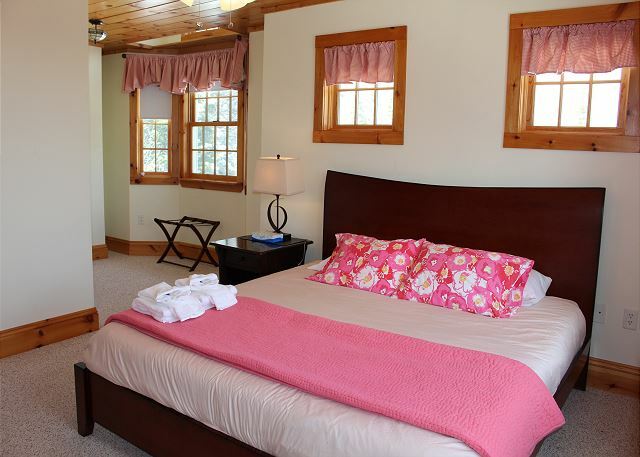 Located just outside downtown historic Bethlehem, NH, close to all the White Mountains have to offer. Call 800.247.5536 today! 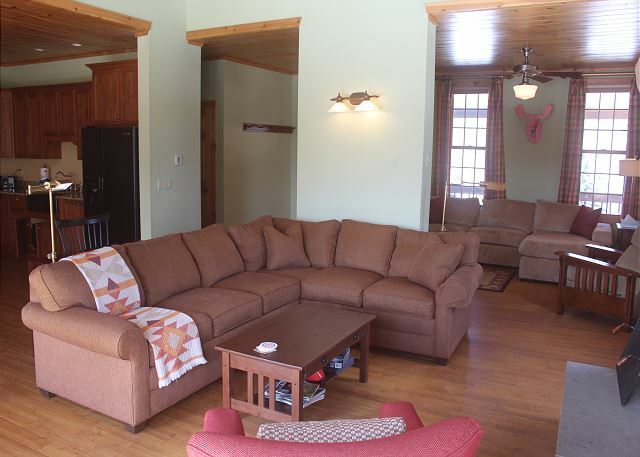 4 bedrooms, 2.5 bathrooms, sleeps 12, 3 levels and multiple living areas. 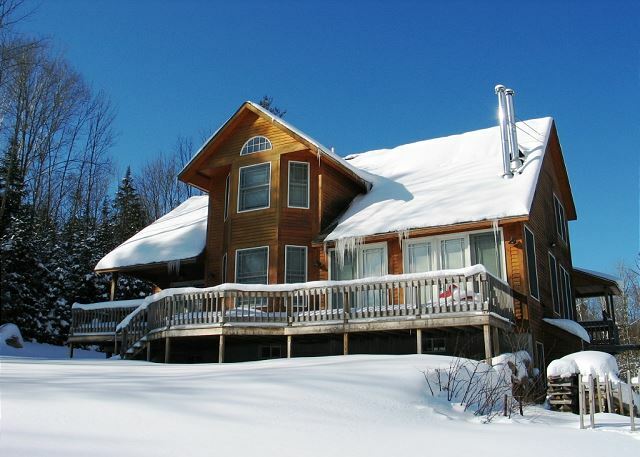 A shot of Grand View glistening with snow; come see for yourself and book your Winter getaway. 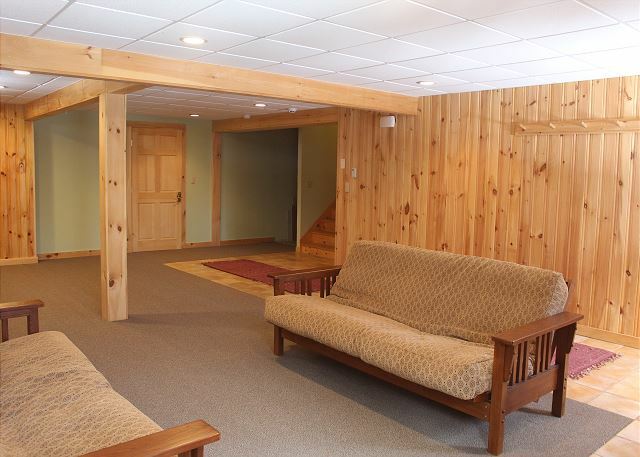 See for miles from the large rear deck and back yard. 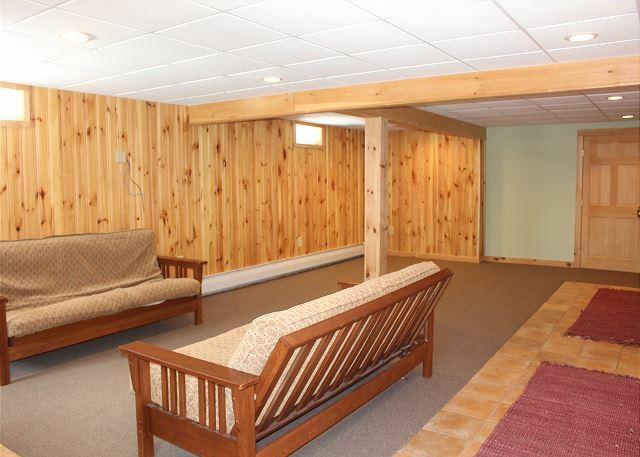 The lower entry, basement level with 2 queen size futons. Basement entry. Stairs seen here lead to the upper levels. Tons of room for any storage needs. 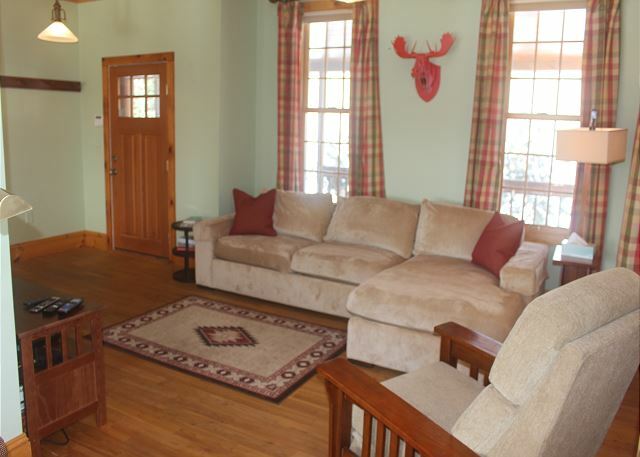 Main floor living area with all new furnishings. 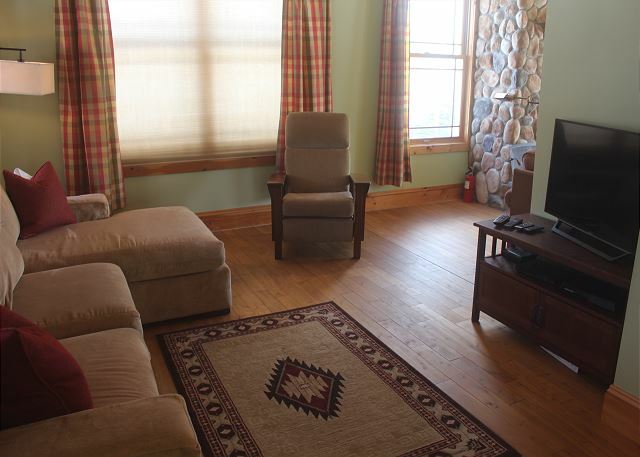 Here is also where you'll find the only TV in the home, fully equipped with satellite cable and DVD player. You'll also find a selection of family games in the cupboards below the TV. Second main floor living area, adjacent to TV room. Settle in here in front of the impression fire place. 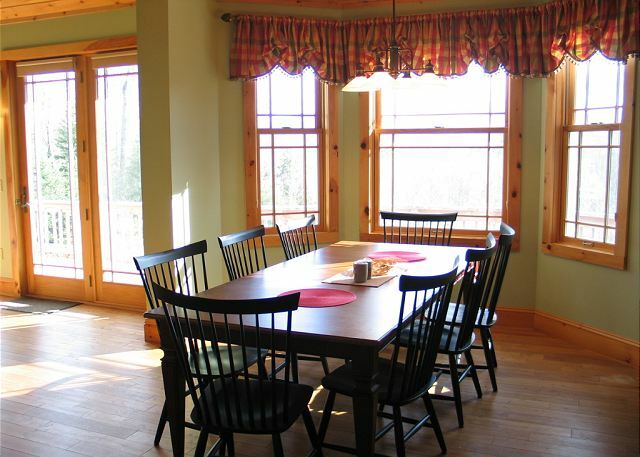 Or take in the views from the many windows and doors which leads to the rear deck. The spacious kitchen is a chef's dream, with professional grade 8 burner gas stove, and cupboard and counter space that can't be beat. Plenty of room at the dinner table for the whole family! Bedroom #1 Master with king bed and en suite full bathroom - main floor. 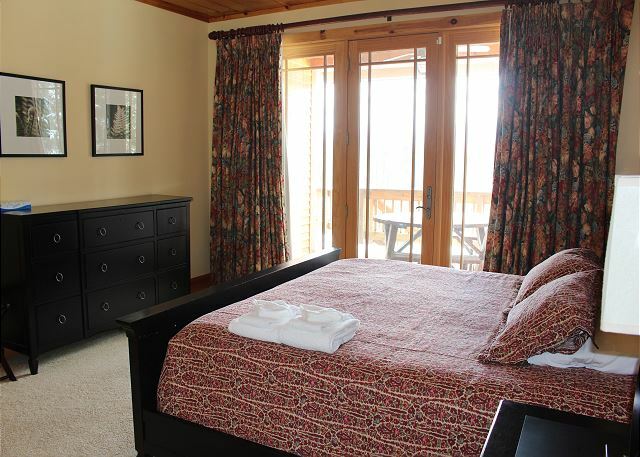 Master bedroom, with direct access to the rear deck. 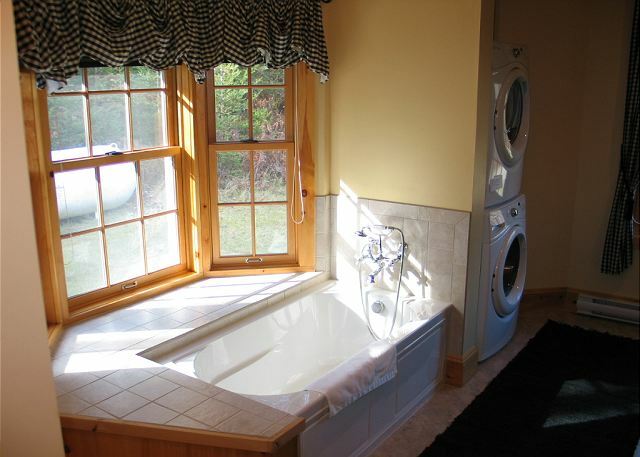 Master bathroom includes a double vanity, both a tub and standing shower, washer and dryer, and large linen/storage closet. 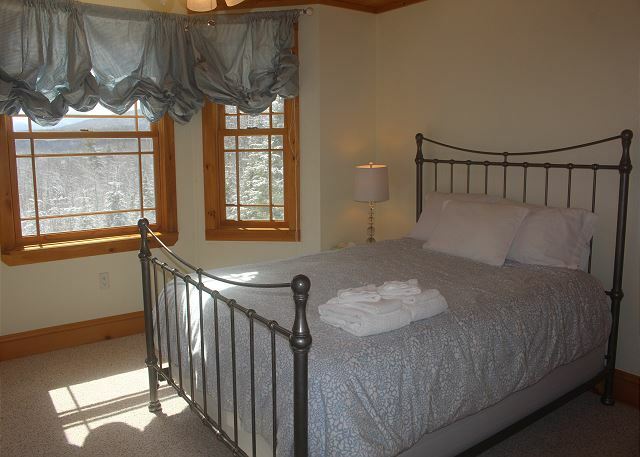 Bedroom #3 with queen bed, high quality linens, and great views. 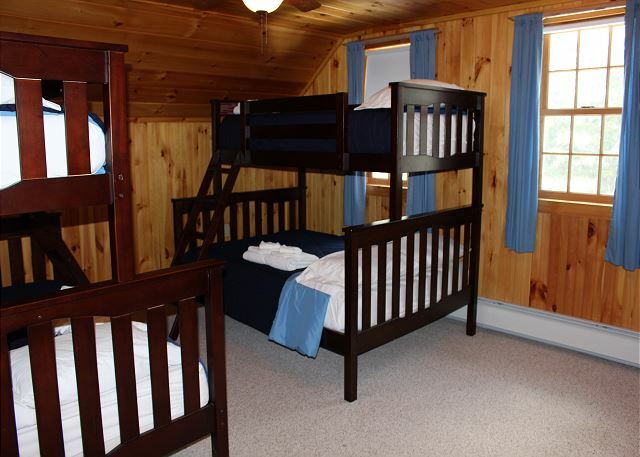 Bedroom #4 with 2 bunk sets, featuring doubles on bottom and twins on top. Great house, comfortable and cozy and views! We rented the house for a month and thoroughly enjoyed our stay. 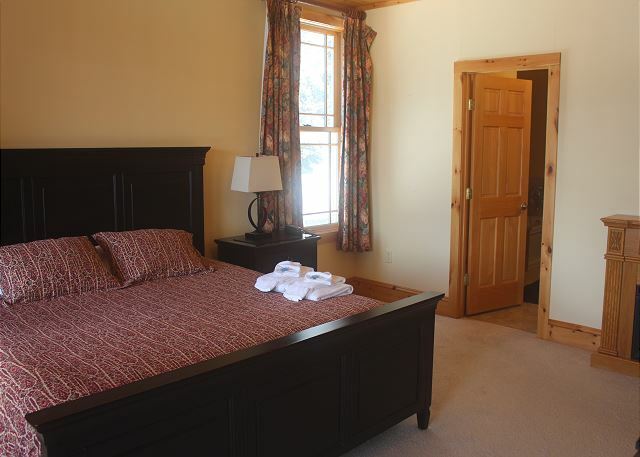 It has all the amenities and is well situated. 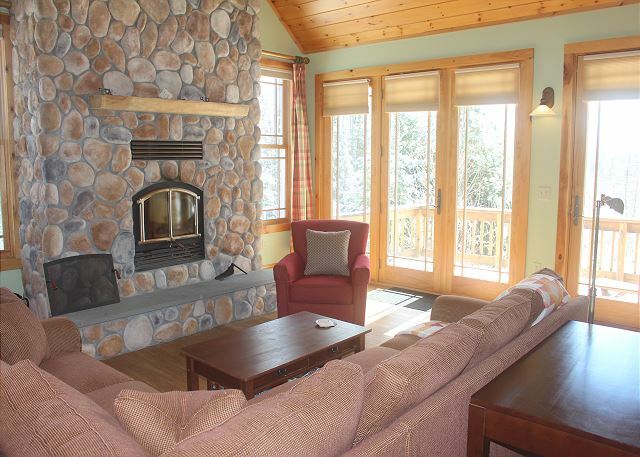 Lovely fireplace and great views with big windows are a plus. Also, the rental agency people were very helpful with ski lift tickets and a tv issue quickly resolved. We will want to go back for sure! Great Place. We stayed with two families total 10 people. It was just right. Only suggestion is pool table or ping pong table down stairs for some entertainment. The Garfield's Grand View was the perrrrfect place for the escape we were all looking for. 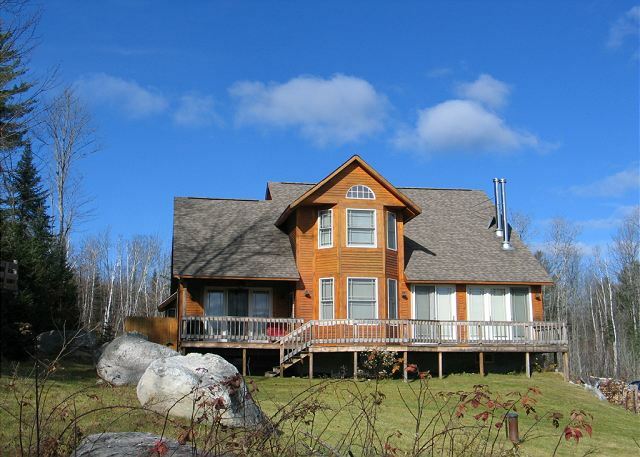 Lots of room for everyone here, inside & out, while the views from the deck and Master bedroom are simply amazing! We already can hardly wait to come back again next year!! We had a good stay. The house is definitely short a bathroom upstairs for a rental property. It needs good deck furniture, not the red plastic electrostatic chairs currently there. It needs to be repainted a neutral color inside, not light green. (What is with the pink plastic moose head?) The knives inside the butcher block were dirty. There was left over gin and a frozen pizza in the freezer. The kitchen was otherwise good. The flower beds were overgrown. It is quiet there, which is very nice. With some TLC, some maintenance, and some upgrades, it could be a pretty decent place. Two families, five kids stayed here for three days over New Year's Eve. Staff professional and courteous, house very clean and tidy. Great kitchen and fireplace. Kids loved the bunk beds (up to six kids could sleep, if four shared a bed). Kitchen had best set of knives in a rental place that I have ever seen. Fancy stove (aga) was gorgeous and had excellent burners, but did not fit a standard cookie sheet. Oddly, they only had nice glasses and plates - not great for little kids or for leaving a cup in the bathroom (pro tip: Snag extra coffee cups from ski area and use at home). The first day we were there, there was a snowstorm and we were plowed by 8am the next day. 25 min is a little long to drive each way to ski area but definitely good for a large group. Note: Not too many stores in the immediate area; we brought our own provisions. 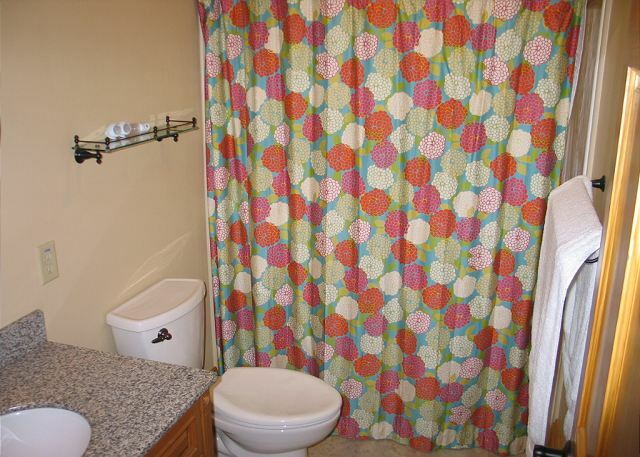 The layout of the house is odd for a rental property, with only 2 1/2 baths and basically an empty basement. The lime green paint is weird. The pink moose on the wall is really strange. The plastic Adirondack chairs on the back deck are very tacky. The house has only a minimal amount of furniture. The kitchen was pretty well stocked. The refrigerator didn't keep food very cold. The water pressure was good. The foutons should be thrown out. We got used to the house as the week went on. With a few thousand dollars investment, it could be a lot more welcoming. Relaxing, Comfortable, Clean, and Beautiful Views! There were 10 adults that stayed in the house for the long weekend. Every single one of us said we'd come back. The house was clean and accommodating. Beds were super comfy! The yard was perfect! Lots of wildlife! Close to many activities! Cort was great to work with! Thank you! Thank you! We will be back! 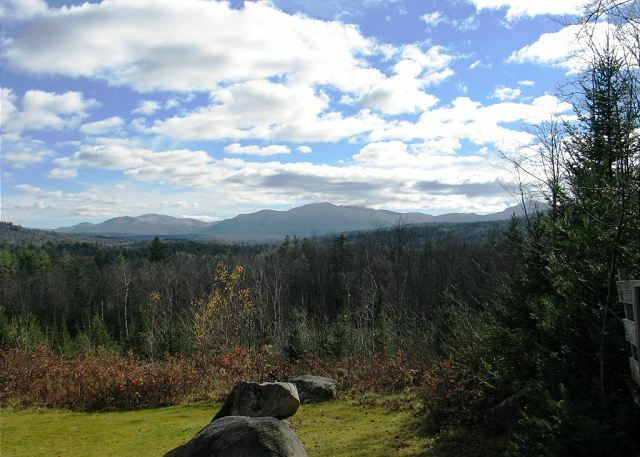 We had a wonderful trip to Garfield's Grand View in NH! The house was in beautiful shape--extremely clean and seemed to be brand new. The kitchen was lovely and was very well-stocked. Lots of space for everyone. 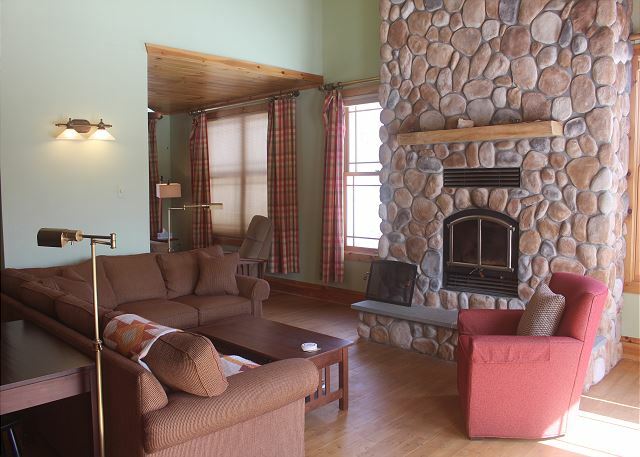 The location was great; about 20 minutes from Bretton Woods for skiing and just about 10 minutes from Littleton with shopping, restaurants, etc. A great way to usher in the New Year! Great location-House was all you would need and expect. Beds are all amazing-comfortable. Cort was helpful with everything. Great place - location - mtns -ice cream at Bishops, ets. Great stay - clean -great shape. Worked well for our family. Great location. Life line works here -great. We have been coming to NH for 31 years looking forward to another year. Located at the end of a private driveway, the house looks out at nothing but mountain views. Quiet, peaceful and pretty. The house, had all we wanted and is wonderfully outfitted through-out. Yup- we're coming back. 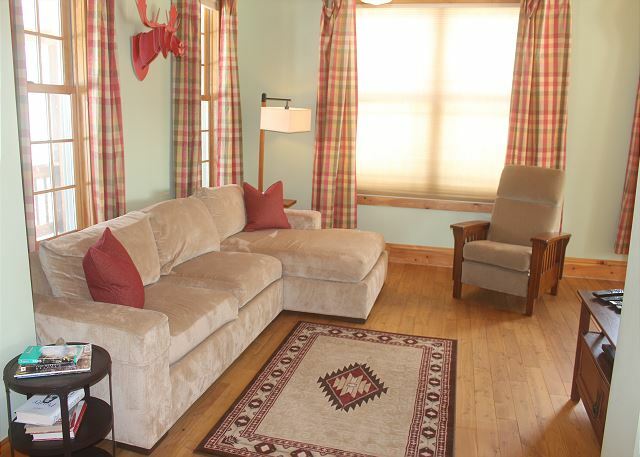 The house was beautiful, perfect for a family holiday stay. We were just disappointed that the Wi-fi problem was not corrected even after several calls from us. It is indeed with regret that we were not able to get the utility company in question to the house in time to get the trouble fixed. Since their departure we have had the issue addressed and service is now active however. Technology in the mountains can prove difficult, this too we must also admit. 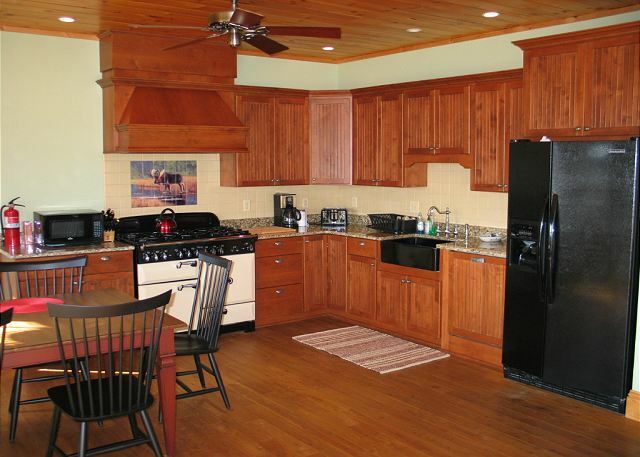 Thanks again & always for choosing Franconia Notch Vacations for your family's holiday.